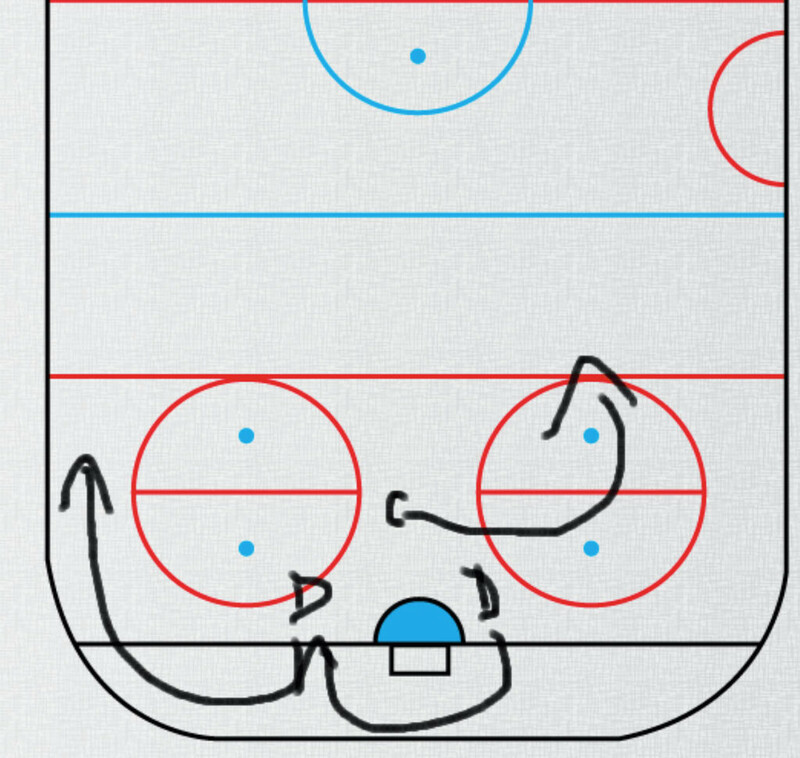 A play that I’ve seen quite often is the power left breakout, which is a goalie ring play. 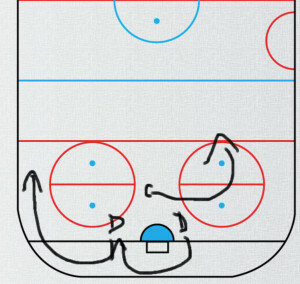 The defence go to the left, and the one defence goes behind the net while the other goes to the corner while the centre goes right and cuts down to the centre of the free pass circle and up to the ringette line. This entry was posted in Blog Posts, Ringette and tagged in game play, goalie ring, goalie ring play, our sport our passion, play it love it live it, power left breakout, ringette, ringette since 1963, since 1963, team sport, the fastest game on ice.